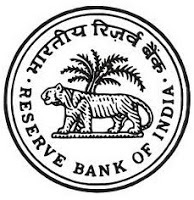 The Reserve Bank of India (RBI) has published the call letters for it's RBI Grade B Officers Phase I Online Exam 2018. The call letters are available from 1st August 2018 to 16th August 2018. The online examination is scheduled to be held on 16th August 2018 (Sunday) in two sessions. Check complete details below. Note: Phase I - ONLINE Examination for Recruitment of officers in Grade ‘B’ (DR)-General -2018 will be held only on August 16, 2018 (Thursday) in two sessions.